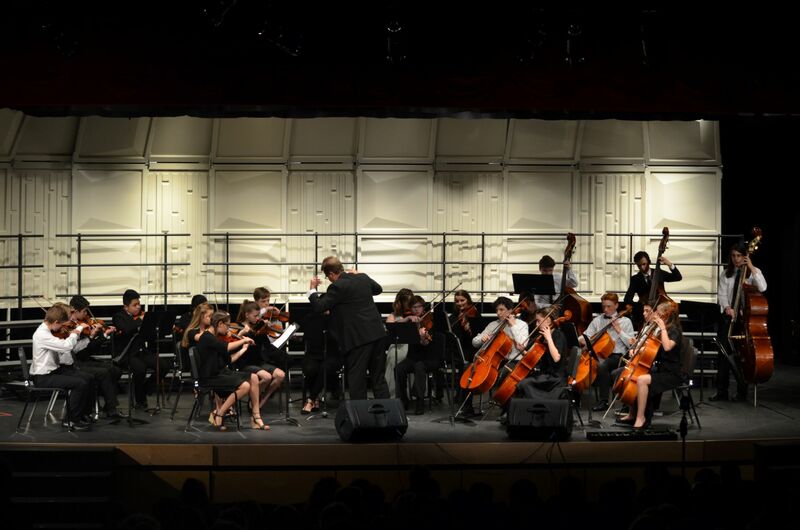 On Tuesday, October 9, the music department hosted the fall music concert, which featured all the choirs and the orchestra. 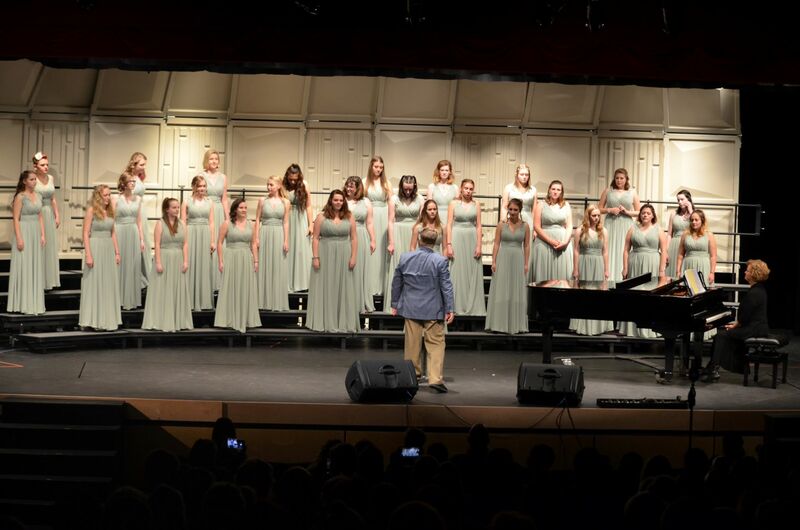 Each group sang or played three songs, and solos were sprinkled throughout. The performance started with the Triskaidekatones, who sang “Willow Weep For Me” which was arranged by Kerry Marsh. 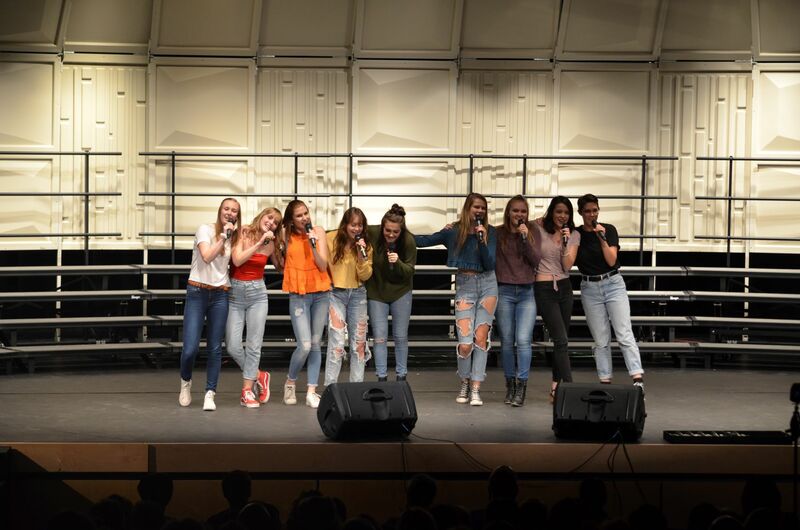 Woman’s choir followed with some colorful music of their own with their best as “O Sing Out With Pleasure” by Handel and arranged by Patrick Liebergen. 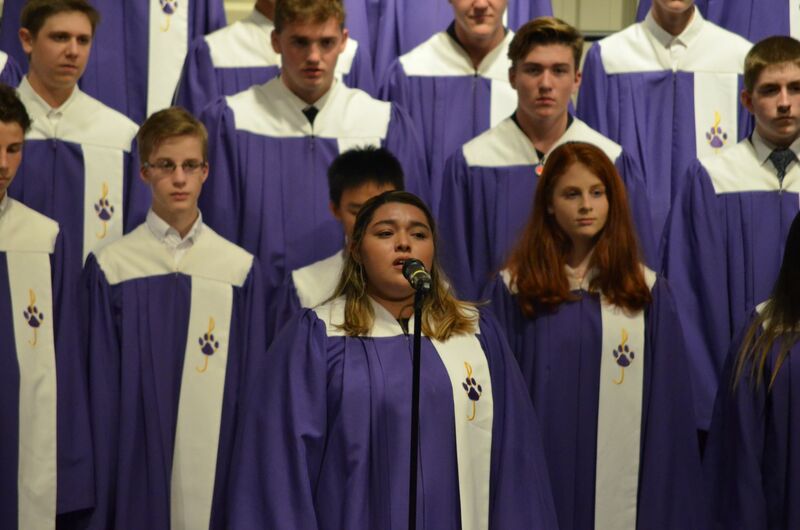 After that was Concert Choir, who sang “I Believe” by Mark Miller featuring soloists Lucy Padilla and Evan Brown. Following them was Manwich with two songs and Chordially Yours with one. Afterward, Chordially Yours and Manwich teamed up to close off the first half. After a 15 minute intermission, the orchestra played their three songs, all from Europe. The group ended on a joyful note with the piece “Balalaika” by James Meredith. Syrens sang three songs, including “Be Like The Bird” by Abbie Betinis with soloist Sarah Young and the Woman’s Ensemble. Closing off the concert was Troubadours with their two songs, “Across the Vast, Eternal Sky” by Ola Gjeilo and “Circa Mea” by Mark Burrows.